I’m going a bit back in time. When I arrived in Costa Rica, I immediately went to Samara, where I stayed at the hostel Matilori. During most of my stay the hostel was entirely German speaking. My first German immersion since I ended my holidays in Hamburg in June. 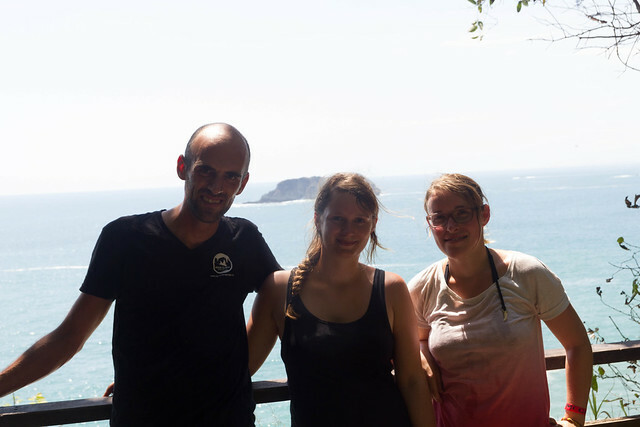 Here I met Sandra and Clara and we decided to head to Manuel Antonio together to visit the national park. 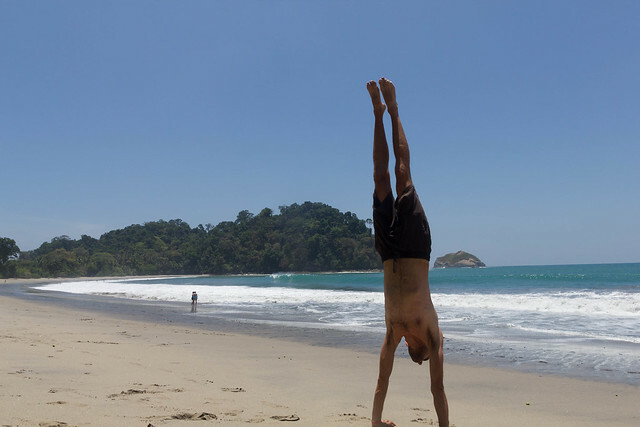 Parque Nacional Manuel Antonio is a small national park in the middle of the Costa Rican Pacific coast. It is, however, the park that has the highest number of visitors per year. 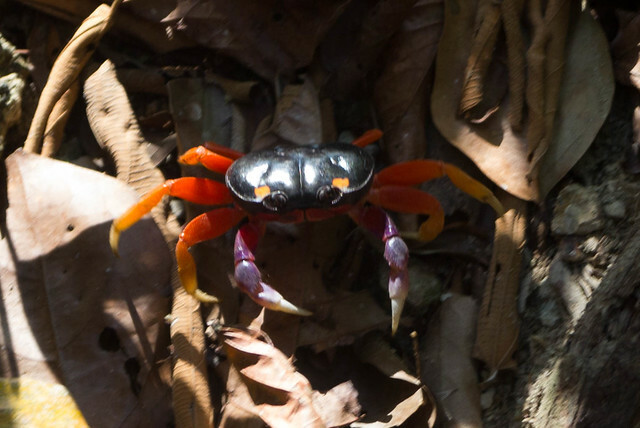 Assuming that there is a pretty good reason for so many people visiting the park, we decided to invest the 8 or so hours it takes to travel the 280 km from Samara to Manuel Antonio. Bus schedules were highly inconclusive but it became clear that leaving Samara at 4:30 AM, arrival sometime in the afternoon would be pretty much guaranteed. We left the hostel early in the morning and tried our luck on the Costa Rican bus system. Things actually worked out perfectly with a nice 1 hour breakfast break around 8 AM in Punta Arenas. At the hostel Vista Serena, it turned out that the 10-bed dorm actually was an 18-bed dorm with one bathroom and pried-open lockers. We quickly opted for a four-bed dorm without lockers ($14 instead of $11). The next morning, we went into the park and decided to do without a guide. On the first bit of the main path this was a totally sensible decision since tourist groups with guide indicated all the points where you could see the smallest bit of an animal and listening a bit to the stories of the different guides, you could get the general picture. 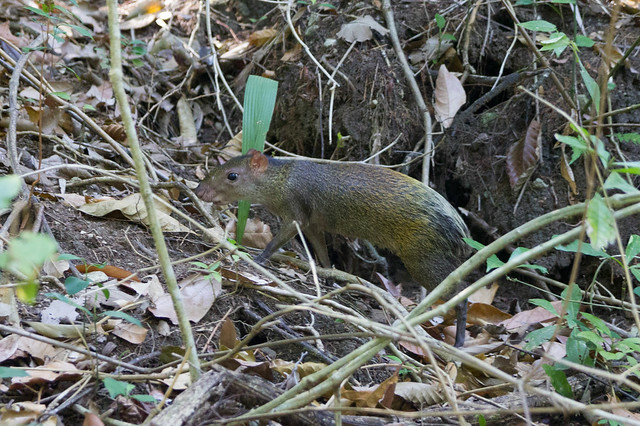 After seeing a miniature bat, a humming bird, and a bit of sloth fur somewhere in the trees, we opted for the sloth trail and got our first real view of a sloth with only a few tourists around. 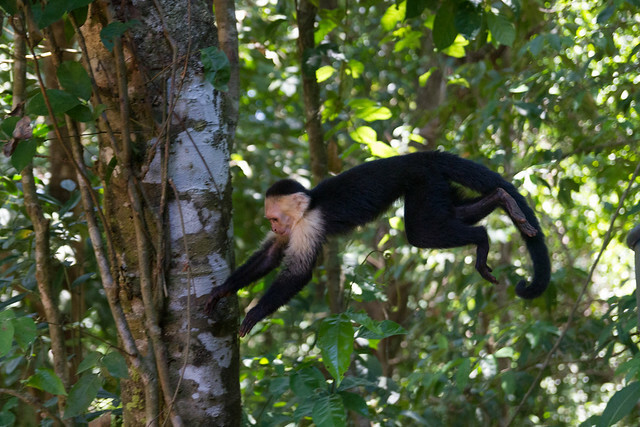 Walking on, sloths kept getting better, and the capuchin monkeys decided to pull of a nice show for us. One of them basically asked for somebody to open a water tap near the bathrooms so it could get a bit of nice potable water. At the beach trail we were lucky enough to see a sloth crossing the trail just above our heads. 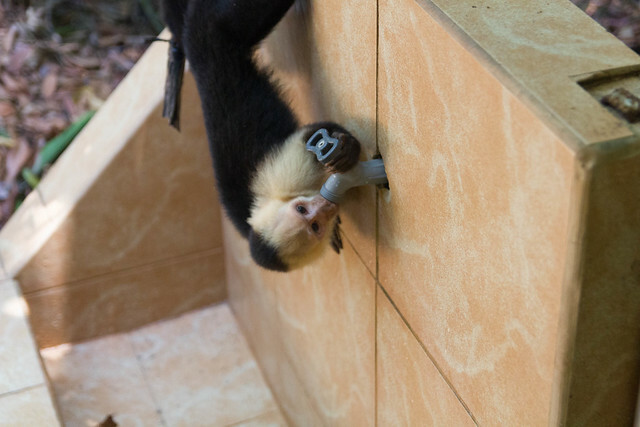 In the meantime the capuchin monkeys kept hopping around people and – if there was food in peoples hands – harvest some snacks. Otherwise they left us in peace, and tolerated people using their camera’s flash right in their face. 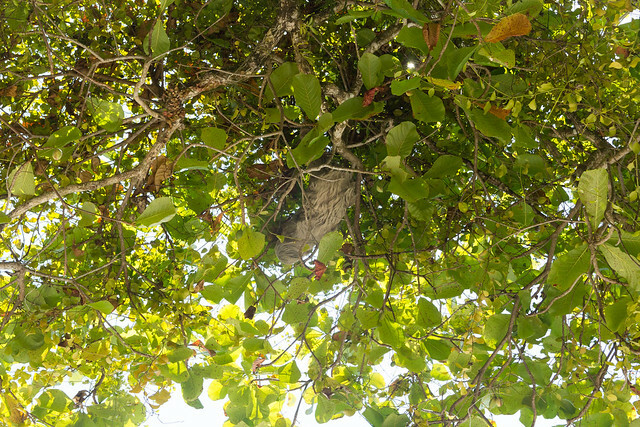 The beaches in Manuel Antonio are absolutely beautiful although some of them are overcrowded, and others are dominated by trees that produce an irritating and poisonous latex. Sloth saying hello.Click here for a video. 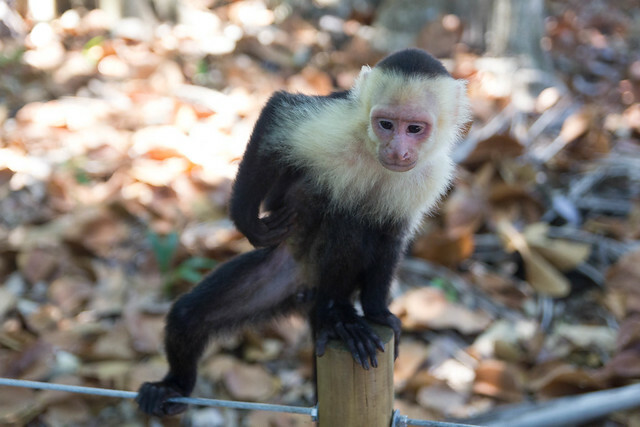 Capuchin monkey. Click here for a video of those guys. 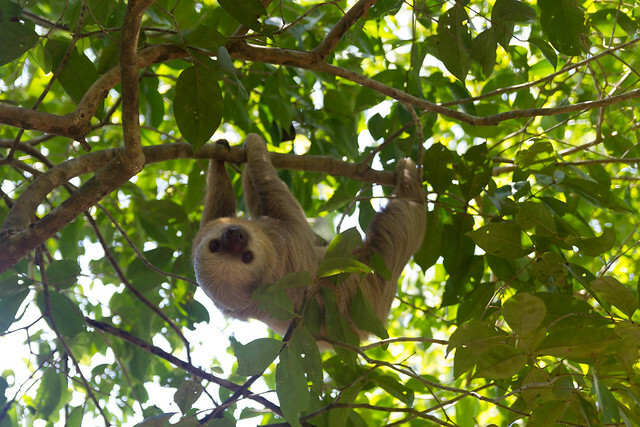 When the park closed at 4 PM, we had traversed almost all trails, seen at least three of the four different kinds of monkeys (although some high up in the trees), and had gotten our dose of two-toed sloth. 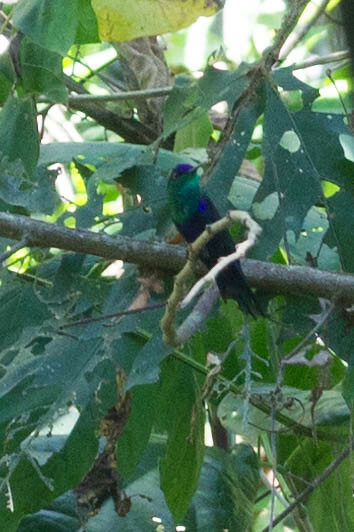 If you want to see wilderness, Manuel Antonio definitely is the wrong choice, but if you are interested in seeing a lot of animals in a zoo with paved trails and without bars and glass, this is the place to go.